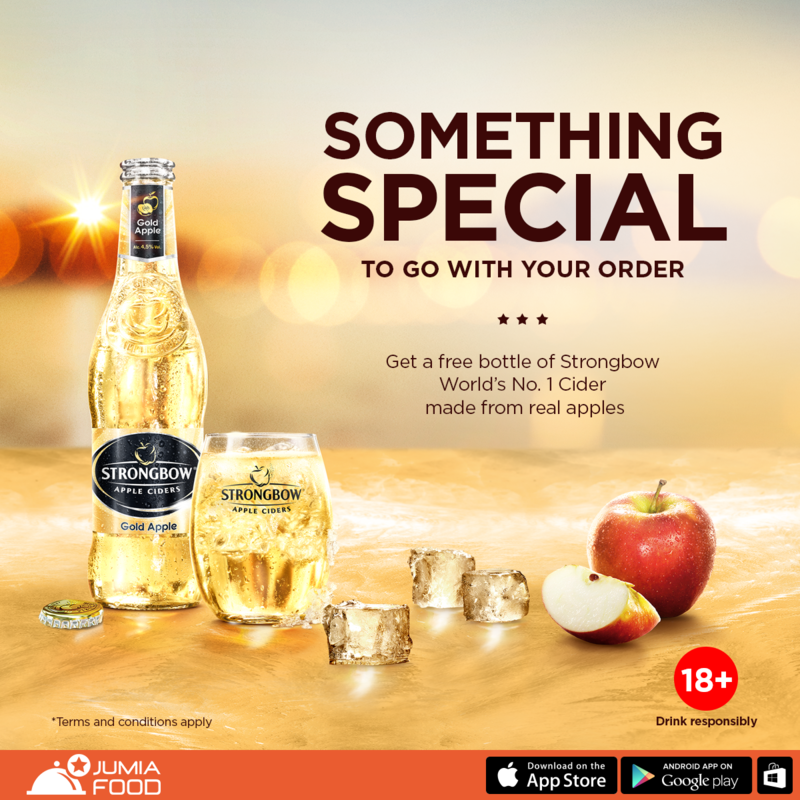 In a bid to reward consumers and lovers of cider, Nigeria’s first locally brewed cider, Strongbow Apple Ciders, has announced a partnership with Jumia Food formerly known as Hello Food. The partnership, which was announced today, Monday, July 4th on the Strongbow Facebook Platform, will have lucky consumers receive bottles of Strongbow alongside orders made on the popular food network, Jumia Food at no extra price. The giveaways will run through the months of July and August. “Strongbow Apple Ciders is the leading cider brand globally and since its launch in Nigeria, the brand has yielded loyal consumers across different regions. Made from real apples with no added sweeteners and features a stylish, distinctive packaging, Strongbow Premium Apple Ciders has made a big impression on lovers of cider in Nigeria since its launch in October 2015. Strongbow Apple Ciders launched in 2015 with the golden hour experience in Ikeja city Mall. During the launch, Strongbow Apple Ciders gave consumers a captivating sensory experience, which featured an impressive demonstration of the brewing process, from farm to brewery, complete with a mini brewery alongside special effects. The centerpiece of the activation was a farm truck ride simulation, which gave guests the experience of transporting freshly harvested apples to the factory.